A photograph of marchers on the third Selma to Montgomery civil rights march, March 25, 1965. 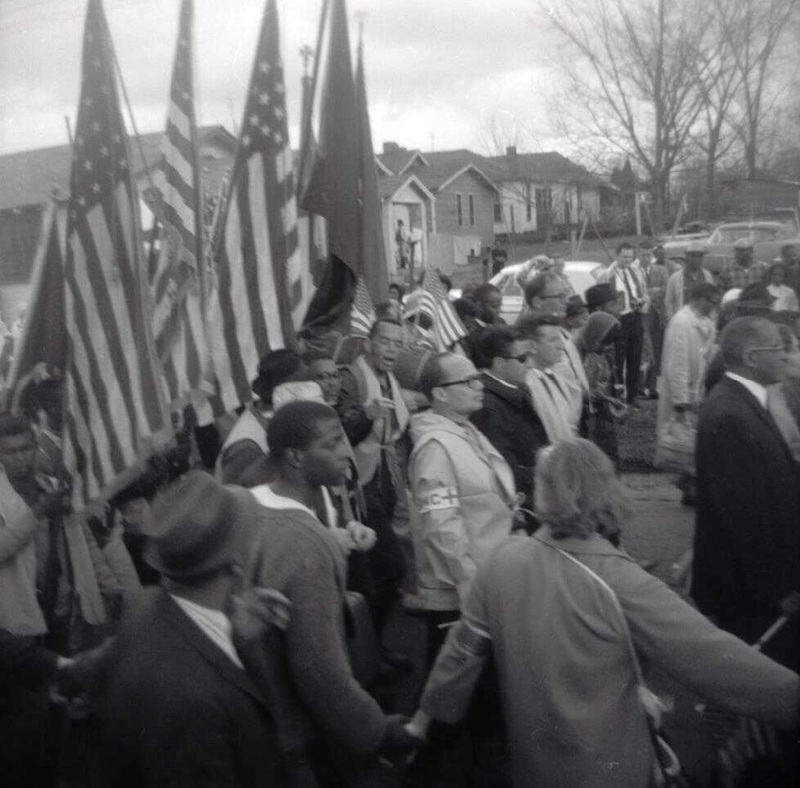 In this photograph, both African American and white marchers stand under flags during the third civil rights march from Selma, Alabama to the state capital of Montgomery. Two previous marches occurred on March 7 and March 9. The first ended in horrific violence against marchers, which captured national and international media attention. On March 15, after the first two marches and before the third, President Johnson gave a speech to Congress urging them to pass his voting rights bill. Nash, Herman B., “Marchers under a battery of American flags,” Digital Public Library of America, https://dp.la/item/7815ddbda7746873a2569f37edb3014c. Courtesy of Special Collections and University Archives, University of Massachusetts Amherst Libraries via Digital Commonwealth. A joint resolution proposing the Fifteenth Amendment to the United States Constitution, 1869. A 1926 letter from William E. Borah to W. E. B. Du Bois about the Fifteenth Amendment. An 1872 political cartoon called “One Vote Less,” which comments on racial violence during Reconstruction. A poll-tax petition from 1930s Tennessee. A 1958 citizenship test from the Georgia State Voter Registration Act. An excerpt from The Voting Rights Act of 1965. A photograph of President Lyndon B. Johnson signing the Voting Rights Act, 1965. A television news clip of Dr. Martin Luther King, Jr. speaking about the Summer Community Organization and Political Education project, June 1965. An excerpt from a television news broadcast in March 1965 in which Carl Sanders, the governor of Georgia, speaks on voting rights. An excerpt from a 1975 report from the United States Commission on Civil Rights about the Voting Rights Act after ten years. An excerpt from congressional hearings on voting rights from 1993. The 2006 Act to Amend the Voting Rights Act of 1965. An excerpt from a 2014 US Senate hearing on the Voting Rights Amendment Act.